Mace was set up in 1974 as a self-help housing association by graduate students from University College to house creative individuals and homeless people. 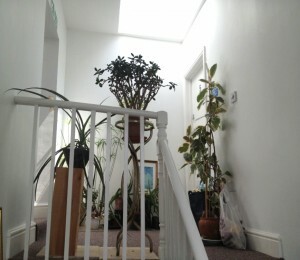 It concentrated on short-life housing, provided initially by the Greater London Council, as this was the quickest way to get its members housed. The houses were allocated to members who renovated them at the own expense in exchange for a peppercorn rent. Later higher rents were charges in exchange for the homes being renovated by Mace. Mace subsequently set up Mace Housing Co-operative as a means of housing its members on a permanent basis. Its mission statement is largely aimed at providing homes for single homeless people. Mace now manages around 300 properties, most of them leased from housing associations and local authorities, particularly including the London Boroughs of Hackney & Camden. Now employing a number of full time staff and with a turnover in excess of £3m, it aims to secure leases of at least three years from property owners. It is not just about bricks and mortar alone at Mace. The Co-op believes that its members and the communities it serves, should be empowered through practical skills training. Mace launched its SEAP (Skills Empowerment and Advisory Project) programme last year. The Programme is designed specifically for the unemployed and others that are interested, in pursuing a career in two strategic operational areas of Housing Management – Rent Income Collection and Repairs/Maintenance Administration. The Programme is over-subscribed at the moment. When Empty Homes Community Grant Programme funding became available in 2012 from DCLG, Mace Housing Co-operative received an allocation of c £1.3m to bring vacant properties back into use in Hackney and Camden on leases of around 10 years. This led to them developing 18 flats above shops on Kilburn High Road (amongst other projects). Mace has used that funding alongside £120K funding from Camden Council, and over £500K of private funding to bring empty homes back into use. Diplomas. 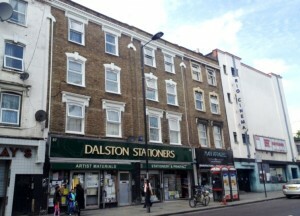 This development on Kingsland Road comprises six 6 flats on a x 12 year lease.